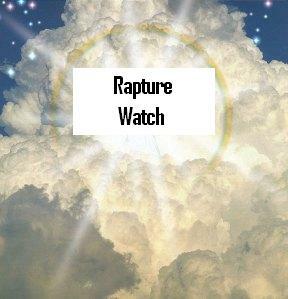 Ok, I know many of you are hoping for the rapture on Rosh Hashanah this year 2010. Well, do not loose hope just yet. The New Moon was sighted yesterday, Friday, September 10th in Israel… however, it also began the Sabbath day (Saturday). No work is allowed on the Sabbath and to carry a Shofar is prohibited, therefore, the Shofar (trumpets) cannot be blown until Sunday, September 11th. Ok, I heard recently that in the book of Revelation chapter 4 when John is called up to heaven… all of the events surrounding that correlate to the morning temple services of Rosh Hashanah which is also when the Last Trump is sounded. If this is the case, that would put the Last Trump being sounded I would guess somewhere between the Jerusalem hours of 6am-9am. For me in the CST that would be between the hours of 10pm-2am the night before. 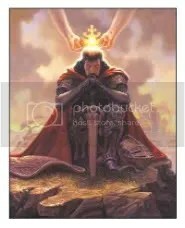 Some believe the Lord will sound the Last Trump just before sunset of that day to give everyone up to the very last moment to repent and turn to God before their judgment is sealed. If that is the case, then this year that would be roughly between the Jerusalem hours of 3pm-6pm’ish. I say “ish” because the sun doesn’t set right at 6pm but for the most part, their services for the end of one day and beginning of the next day are considering sunset at 6pm. This is where the Hours (Day) vs Watches (Night) are divided. In the CST zone, that would be between the hours of 7am-10am that same morning. I think you get my point. I personally do not know when the Last Trump is sounded for sure and if any of you could show me, that would be greatly appreciated. I have searched this out as far as I can and it seems impossible to find the answer to this question. I hope this gives you hope to not give up just yet on this Rosh Hashanah. Keep looking up because He IS coming for us! Here is an interview with Hal Lindsey and Chuck Smith on His Channel regarding current issues and Bible prophecy. This video is very encouraging so I wanted to share it here with you. I have included links at the top of each video in case the video isn’t working or doesn’t show up.